↑ Home. 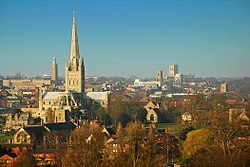 Norwich.gov.uk (7 October 2010). یوْخلانیلیب13 September 2013. ↑ 2011 Census: Ethnic group, local authorities in England and Wales. ONS. یوْخلانیلیب10 March 2014.